Funeral services will be conducted Friday at 1:30 p.m. at Spindler-Koelling Crete chapel for Mrs. Clara E. Hager, 82 of Crete, who died Tuesday afternoon at the Suburban Convalescent Center, South Chicago Heights. 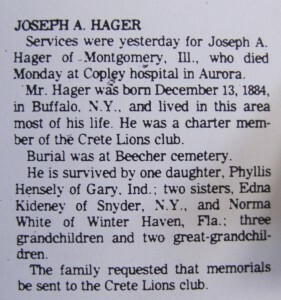 Mrs. Hager lived at 477 North Street in Crete.She was a lifelong resident of Crete, having been born there December 30, 1888. 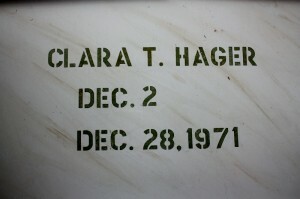 She was a member of Trinity Lutheran Church of Crete, the Ladies Aid of the church and the Crete Women’s club. The Rev. A.T. Kretzman, pastor of Trinity, will officiate. Entombment will be in the Beecher Mausoleum. Friends may call at the funeral home after 10 a.m. Thursday and until time of the services on Friday. She is survived by her husband, Joseph; a daughter, Mrs. Phyllis Stewart of Gary, Ind. 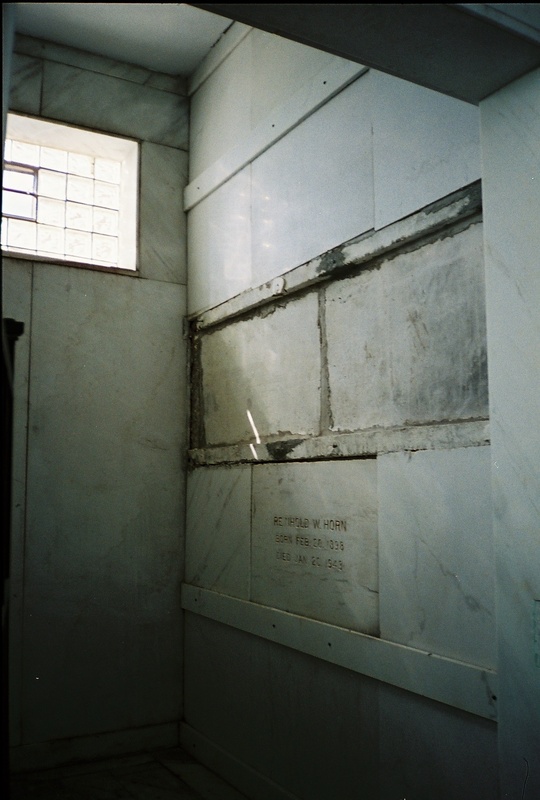 ; a sister, Mrs. Elsie Groenveld of Joliet; a brother, Vernon R. Horn of Aurora; three grandchildren, and two great-grandchildren. Neither Clara’s nor Joseph’s obituaries tell us that Clara’s brothers Walter, Charles, Arthur, Reinhold & Vernon lived with Clara and Joseph from 1918 thru 1940. 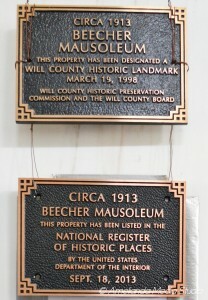 Walter was married in 1921 and left the family home. Clara’s mother died in 1918, the year Clara married Joseph, and Clara & Joseph took over the care of the family. 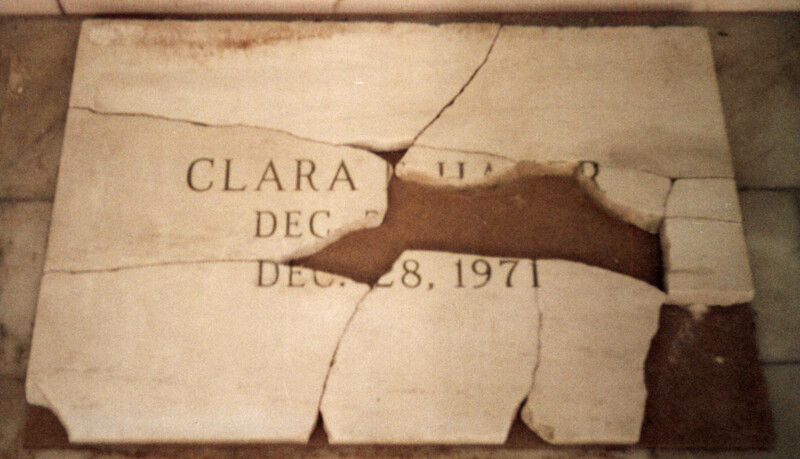 Clara’s father Charles, the son of the first mayor of Crete, was tragically killed in a train crash in 1905. 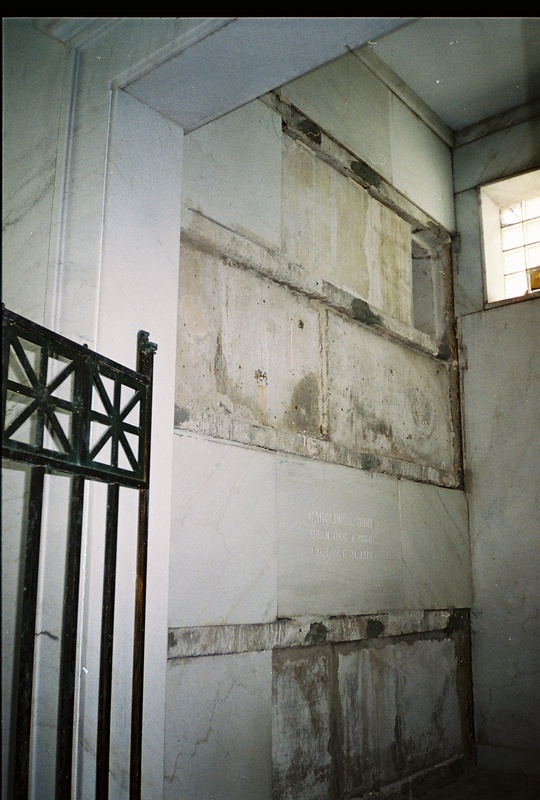 Because Clara’s headstone, along with a large portion of the Horn family compartment within the mausoleum, was destroyed by vandals in the mid 1980’s, we are in the process of trying to obtain white Colorado Yule Quarry “Lincoln Gold Vein” marble needed to replace the missing panels. More damage to the Horn Family Compartment. 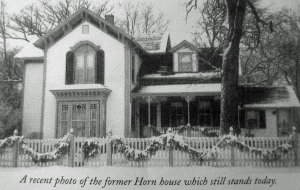 According to newspaper accounts, Arthur Struve’s wife, Caroline Struve (nee Kappmeyer) and Clara Hager’s mother, Caroline “Lena” Horn (nee Kappmeyer) were first cousins. This entry was posted in Automated Burial Listing, Burial Listing, Burial Location, HEADSTONE, Ladies Aid Society, Need full Obituary, Trinity Lutheran - Crete by Sandra. Bookmark the permalink.